On Sunday, May 6th, 2012, Kirk Ahlberg penned a blog post entitled "Double Nickels on the Grime" in which he waxed poetic about the surge of semi-organized and unsupported gravel rides that were taking place across the country - particularly the Midwest where Ahlberg originally hales from. From this appreciation for the "...independent spirit and grassroots vibe of these ride/races" he wished to create a route in Montana that went "...against the ridiculously high entry fees that are now being charged for bicycle and running races of all kinds". From the inspiration born in that blog post the idea behind the Morganzo 55: Double Nickels on the Grime was born. "Last December I went for a hike in the northern part of the Bridger range and was intrigued by the network of gravel/dirt roads on the western side south of the ghost town of Maudlow. I began driving around and noting the non-paved roads on my map and was excited to see that a nice bike route could probably be created." "After a couple more scouting missions, both in car and on bike, I've come up with a 55-mile route that I'm excited to invite a few friends to ride with me this summer. I've biked the entire route on my scouting missions, but not all at once. 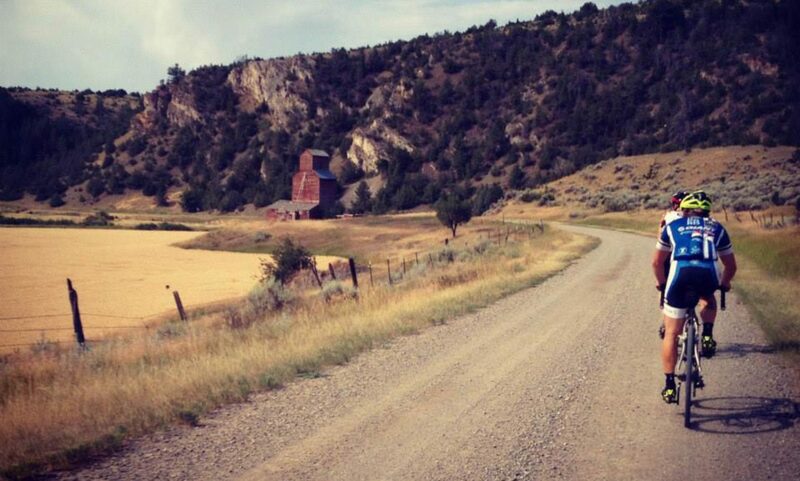 It's hilly and beautiful and should be a good challenge riding in the shadow of the Bridger range." Now with a few year legacy under its belt the race takes place each year in August with steadily increasing ridership at every passing. In 2012 only six riders were present but in 2015 there were 23 riders with rubber on the dirt at the starting line. So, what are your plans next August? Give us a shout and let us know.